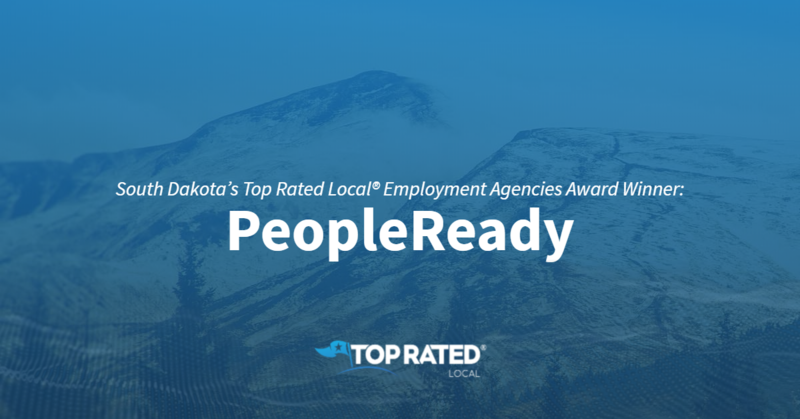 Top Rated Local® is pleased to announce that PeopleReady is a 2019 award winner for employment agencies in South Dakota! Finding the right employee or the right job can be challenging; luckily, PeopleReady in Rapid City is here to help. PeopleReady has received dozens of reviews on three verified sites with an average rating of 4.84 stars, earning them a tremendous Rating Score™ of 85.00 and a 2019 Top Rated Local award for ranking among the top 10 employment agencies in all of South Dakota! “Between the JobStack app, the staff and the ability to work whenever you want, it’s great! The hours you work are very accurate, and you always get paid on time! I’d recommend giving it a try if you’re looking for work!” – Christian K.
We wanted to learn a little more about PeopleReady and its award-winning online reputation, so we took a few minutes to talk with Miranda Weston, Staffing Specialist. The first question we had for Miranda was what is it that sets PeopleReady apart from their competition in South Dakota. Miranda said that they have the broadest spectrum of jobs and offer quite a bit of diversity and that their Rapid City location has been open since 2002. We also wanted to know what their mission is at PeopleReady and how they work to make the world a better place. Miranda shared with us that their mission is to connect people with the right jobs for them. Miranda attributes PeopleReady’s strong online reputation to the many systems they have in place to help people get to work, including their smart phone app — JobStack. Outside of building a powerful online reputation, PeopleReady has gotten their name out there through Facebook, word of mouth and their online pages. There are so many business owners out there looking to build the kind of online reputation PeopleReady has. When we asked what advice she has for them, Miranda highlighted the importance of not judging a book by its cover and treating everyone equally. Congratulations to the team at PeopleReady for being a 2019 Top Rated Local award winner, and thank you so much, Miranda, for taking the time to speak with us! We highly recommend PeopleReady. Visit their website today! 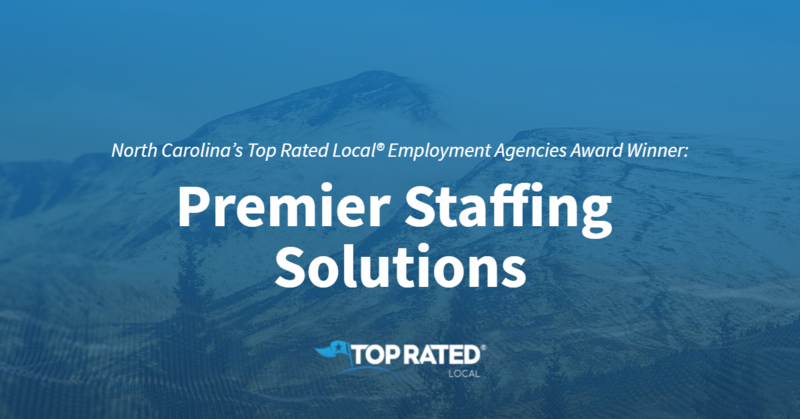 Top Rated Local® is pleased to announce that Premier Staffing Solutions is a 2019 award winner for employment agencies in North Carolina! When you need an employment agency in Wilmington, there’s no better option than Premier Staffing Solutions. Premier Staffing Solutions has received dozens of reviews on four verified sites with an average rating of 4.56 stars, earning them a fantastic Rating Score™ of 84.15 and a 2019 Top Rated Local award for being ranked the number one employment agency in all of North Carolina! “These folks are great to work with and a necessary professional resource. They helped me write a better job description, define key factors in hiring and …build a better interview. They found me a perfect candidate after a lot of looking and were patient in the process. I’d definitely recommend them if you’re searching in this tough market to find good people.” – Jeremy R.
We wanted to learn a little more about this award-winning business and its stand-out online reputation, so we took a few minutes to talk with Peggy, the President of Premier Staffing Solutions. Peggy went on to tell us that Premier Staffing Solutions is an independent, woman-owned and -operated staffing service that has been serving Wilmington, North Carolina since 1999. Outside of building a powerful online reputation, Premier Staffing Solutions has gotten their name out there through word of mouth, Facebook and Twitter, as well as by supporting their clients and their marketing efforts. Congratulations to the team at Premier Staffing Solutions for being a 2019 Top Rated Local award winner, and thank you so much, Peggy, for taking the time to speak with us! We highly recommend Premier Staffing Solutions in Wilmington. Visit their website today! 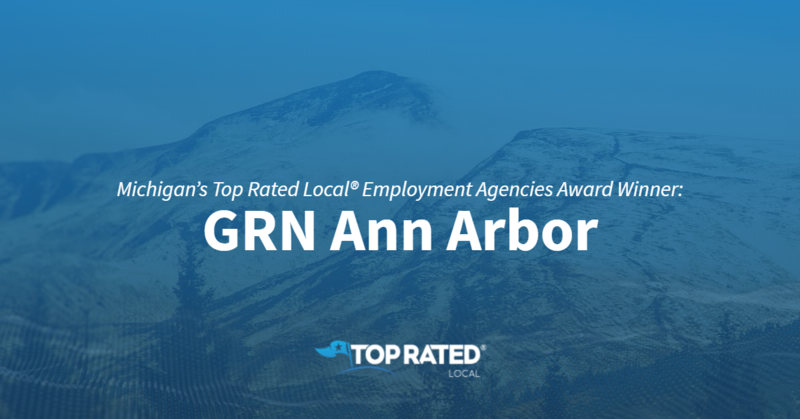 Top Rated Local® is pleased to announce that GRN Ann Arbor is a 2019 award winner for employment agencies in Michigan! Finding the right job or hiring the right candidate can be difficult. Luckily, GRN Ann Arbor is here to help. GRN Ann Arbor has received dozens of reviews on multiple verified sites with an average rating of 5.00 stars, earning them a tremendous Rating Score™ of 94.00 and a 2019 Top Rated Local award for ranking among the top 10 employment agencies in all of Michigan! Sue and Brian Henriksen, the owners of GRN Ann Arbor, generously gave us a few minutes to tell us a little more about their award-winning business and its impressive online reputation. When asked about GRN Ann Arbor’s secret to such a strong online reputation, Sue and Brian told us that their reputation is purely organic and that customers write reviews because of their integrity and confidentiality. Outside of building a powerful online reputation, GRN Ann Arbor has gotten their name out there through social media, phone calls and networking. Congratulations to the team at GRN Ann Arbor for being a 2019 Top Rated Local award winner, and thank you so much, Sue and Brian, for taking the time to speak with us! We highly recommend GRN Ann Arbor. Visit their website today! Top Rated Local® is pleased to announce that Short Staffed is a 2019 award winner for employment agencies in South Dakota! 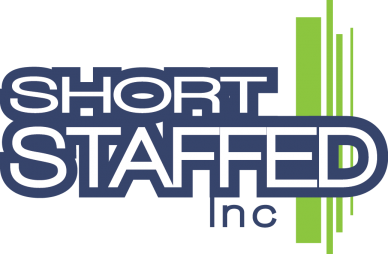 Short Staffed in Sioux Falls, South Dakota, offers staffing for all temp and full-time placement, so look no further if you are in the market for a job. Short Staffed has received dozens of reviews on verified sites with an average rating of 4.98 stars, earning them an incredible Rating Score™ of 94.75 and a 2019 Top Rated Local award for ranking among the top 10 employment agencies in all of South Dakota! “[Short staffed is] quick, awesome, and easy if you’re looking for immediate temp-to-hire work. [A] great staff makes a heck of a difference!” -Cody H.
We wanted to learn a little more about this award-winning business and its impressive online reputation, so we took a few minutes to talk with Reed Burson, the owner of Short Staffed. Outside of building a powerful online reputation, Short Staffed has gotten their name out there through various forms of marketing and advertising. They have a powerful website as well as a presence on Facebook. Congratulations to the team at Short Staffed for being a 2019 Top Rated Local award winner, and thank you so much, Reed, for taking the time to speak with us! Visit their website here! Top Rated Local® is pleased to announce that Spherion is a 2019 award winner for employment agencies in Minnesota! Each person’s road to success looks different. Where do you want yours to lead? Spherion will help you get there. Spherion has received dozens of reviews on four verified sites with an average rating of 4.66 stars, earning them an incredible Rating Score™ of 90.62 and a 2019 Top Rated Local award for ranking among the top 10 employment agencies in all of Minnesota! “[Spherion] is a very organized and helpful organization. [They are] very responsive unlike most agencies. [They are also] very efficient in finding the right job that suits you best. [This is] the best staffing agency that I’ve dealt with hands down!” -Nichole F.
We wanted to learn a little more about this award-winning business and its impressive online reputation, so we took a few minutes to talk with Leah Macgregor, the Senior Branch Manager at Spherion. Outside of building a powerful online reputation, Spherion has gotten their name out there through a lot of grassroots recruiting like referrals. They are constantly asking for referrals but also stay connected via job fairs and social platforms. 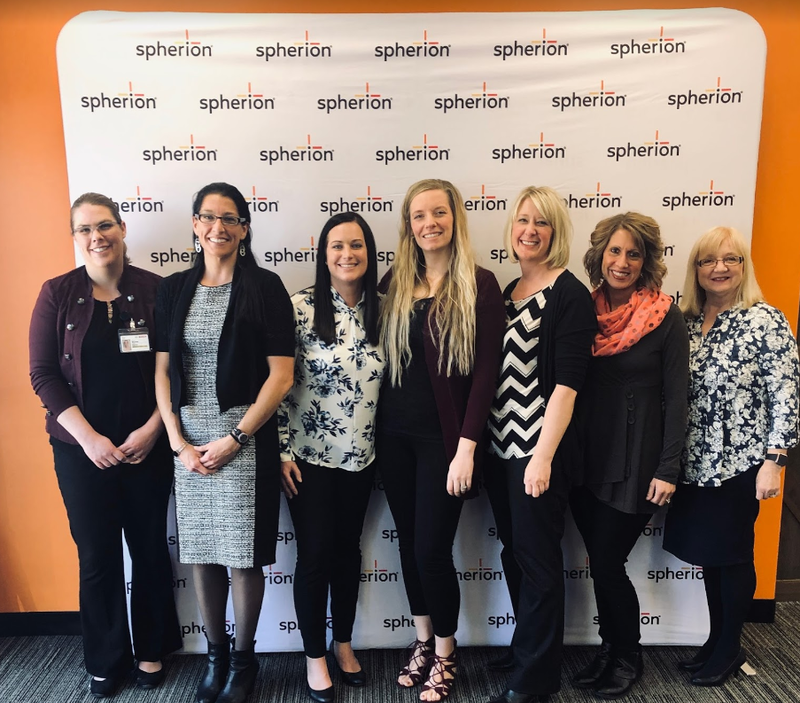 Congratulations to the team at Spherion for being a 2019 Top Rated Local award winner, and thank you so much, Leah, for taking the time to speak with us! Visit their website here! 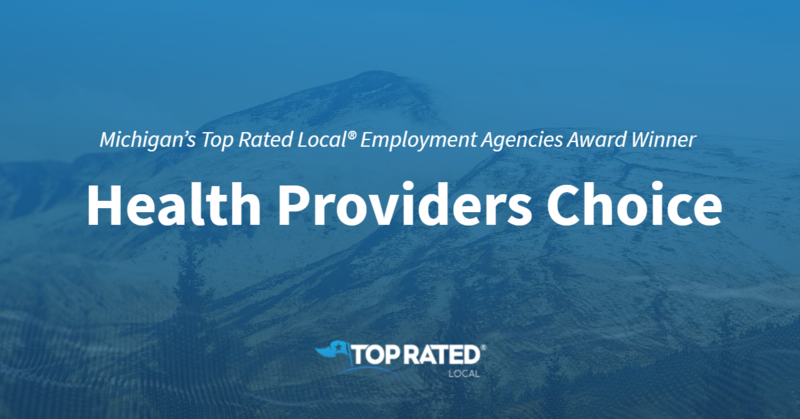 Top Rated Local® is pleased to announce that Health Providers Choice is an award winner for employment agencies in 2019. For all of your health employment needs in Rochester Hills, Michigan, we highly recommend Health Providers Choice. Health Providers Choice has received many overwhelmingly positive reviews across three different verified sites with a perfect rating of 5.00 stars, earning them an impressive Rating Score™ of 97.00 and a 2019 Top Rated Local award for ranking as one of the top three employment agencies in Michigan! “[They are] very professional and hard working. [They work hard] to find the ideal assignment match. [They are] efficient with paperwork and communication — they’re the best!” – A.M. It is because of excellent reviews like this that Health Providers Choice is now able to call themselves a Top Rated Local award winner! We were excited to learn all about how Health Providers Choice has been able to build such an impressive reputation, so we sat down with the Social Media Manager, Chelsea Idzior. The first thing we wanted to know was what it is that makes Health Providers Choice stand apart from their local competitors. Health Providers Choice has a strong social media presence, which they have found to be so valuable in building their strong online reputation. Chelsea tells us that they try to post relevant content, and they encourage nurses and employees to go online and leave reviews. Most importantly, she says, they are prompt to respond to customer reviews. On top of all of this, we want to highlight some of Health Providers Choice’s other impressive accomplishments. 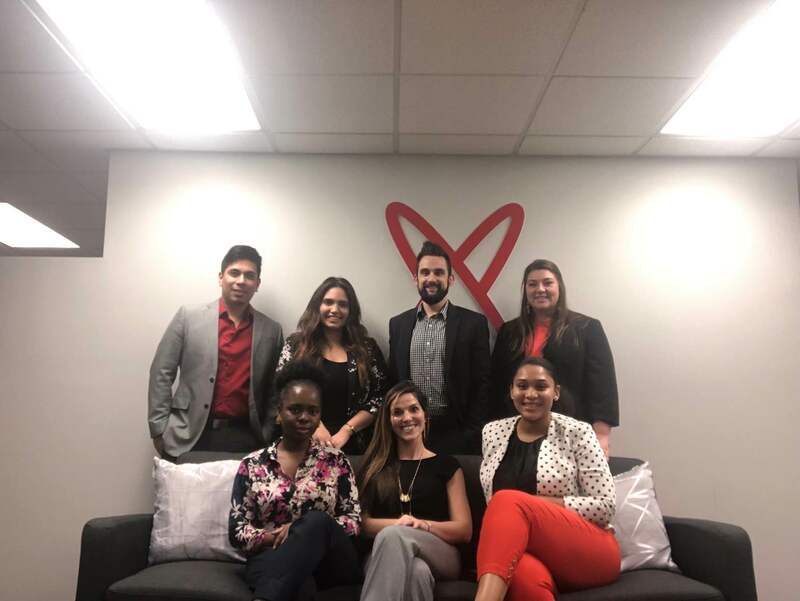 They were awarded as one of Staffing Industry Analyst 2019’s best staffing firms to work for, rated Best of Staffing Client Satisfaction, Best of Staffing Talent Satisfaction, and were voted the number one travel company on highway hypodermics. Chelsea tells us they are also proud to offer pet insurance and day one dental, medical, and vision insurance. Congratulations to Health Providers Choice for being a 2019 Top Rated Local award winner, and special thanks to Chelsea for taking the time to speak with us! 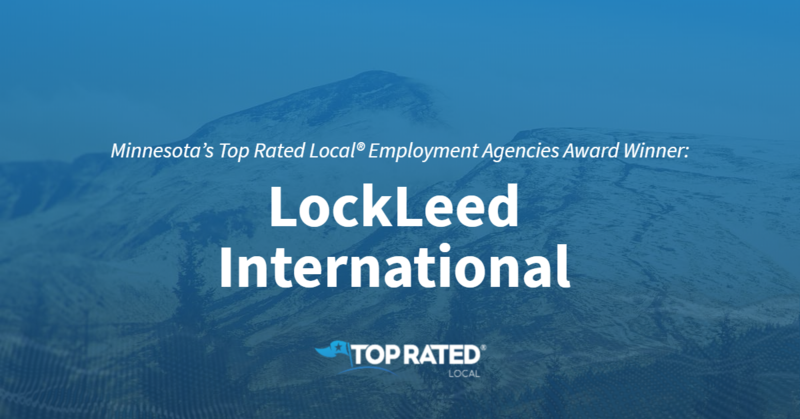 Top Rated Local® is pleased to announce that LockLeed International is a 2019 award winner for employment agencies in Minnesota! 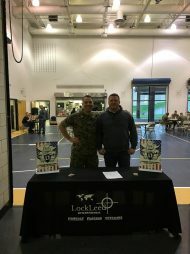 If you’re a veteran in need of the right job, look no further than LockLeed International in Minneapolis. LockLeed International has received dozens of reviews on multiple verified sites with an average rating of 4.68 stars, earning them a phenomenal Rating Score™ of 91.83 and a 2019 Top Rated Local award for ranking among the top 10 employment agencies in Minnesota! “[I] highly recommend that all veterans contact LockLeed. John and his staff are very professional and courteous. They are a great resource for employment opportunities, as well as continued support after the hiring process is complete.” – Derrick S.
John Henka, a veteran and the owner and CEO of LockLeed International, generously gave us a few minutes of his time to tell us about his award-winning business and its impressive online reputation. Congratulations to the team at LockLeed International for being a 2019 Top Rated Local award winner, and thank you so much, John, for taking the time to speak with us! We highly recommend LockLeed International in Minneapolis. Visit their website today! Top Rated Local® is pleased to announce that Spherion of Duluth is a 2019 award winner for employment agencies in Minnesota! For employers looking for the right candidates and job seekers looking for the right position, Spherion in Duluth is the staffing agency to turn to. Spherion of Duluth has received dozens of reviews with an average rating of 4.90 stars, earning them a spectacular Rating Score™ of 91.00 and a 2019 Top Rated Local award for ranking among the top 10 employment agencies in all of Minnesota! “I used Spherion last fall to hire a temp receptionist. She was so amazing and liked by the staff that she came back again this year in a new role. Spherion continues to amaze me with the number of qualified candidates they send my way. Spherion gets it; they understand my needs and have not disappointed me yet. They know their candidates and the best ones for the job openings. Within a day of asking for candidates, they had two interviews set up for me. Their customer service is amazing. I highly recommend this company!” – Melissa G.
Tracy Mandelin, manager at Spherion of Duluth, generously gave us a few minutes of her time to tell us a little more about this award-winning business and its impressive online reputation. She went on to tell us that they do temp, direct hire and professional placements. “We find people jobs and love what we do. [We aim to] get people hired and strive to be the local staffing [resource]. Tracy credits Spherion of Duluth’s strong online reputation to her team’s commitment to providing excellent customer service and asking for reviews. Outside of building a powerful online reputation, Spherion of Duluth has gotten their name out there through social media and networking events and by being an active part of their community. Congratulations to the team at Spherion of Duluth for being a 2019 Top Rated Local award winner, and thank you so much, Tracy, for taking the time to speak with us! For all of your staffing and employment needs in Duluth, we highly recommend working with the team at Spherion. Visit their website today! Top Rated Local® is pleased to announce that Mixed Staffing and Recruiting is a 2019 award winner for employment agencies in Michigan! When it comes to staffing, there’s no better company to turn to in Kentwood than Mixed Staffing and Recruiting. Mixed Staffing and Recruiting has received dozens of reviews on multiple sites with an average rating of 4.72 stars, earning them a spectacular Rating Score™ of 91.21 and a 2019 Top Rated Local award for ranking among the top 10 employment agencies in all of Michigan! 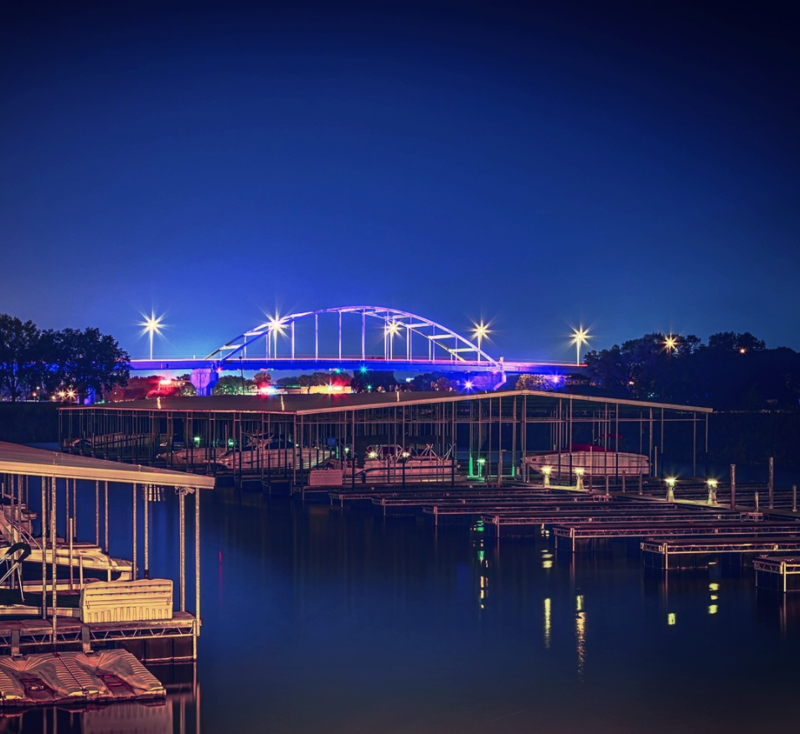 “I…applied to a bunch of temp agencies in Grand Rapids, and they are the best, hands down! They make sure they take the time to find you work that fits your interests, and they are very professional and make you feel welcomed. Courtney was my recruiter, and she found me work within two days of applying. She answered all my questions and made me feel comfortable with the position.” – Autumn D.
In order to learn a little more about this award-winning business and its stand-out reputation, we took a few minutes to talk with Sara, the President of Mixed Staffing & Recruiting, and Courtney, a Recruiter. Sara and Courtney credit Mixed Staffing & Recruiting’s strong online reputation to their social media presence, as well as to their commitment to getting the job done well and consistently. Outside of building a powerful online reputation, social media marketing on Facebook and Instagram as well as with word-of-mouth referrals have helped Mixed Staffing & Recruiting grow and thrive. Congratulations to the team at Mixed Staffing & Recruiting for being a 2019 Top Rated Local award winner, and thank you so much, Sara and Courtney, for taking the time to speak with us! For all of your staffing needs in Kentwood, we highly recommend Mixed Staffing & Recruiting. Visit their website today! 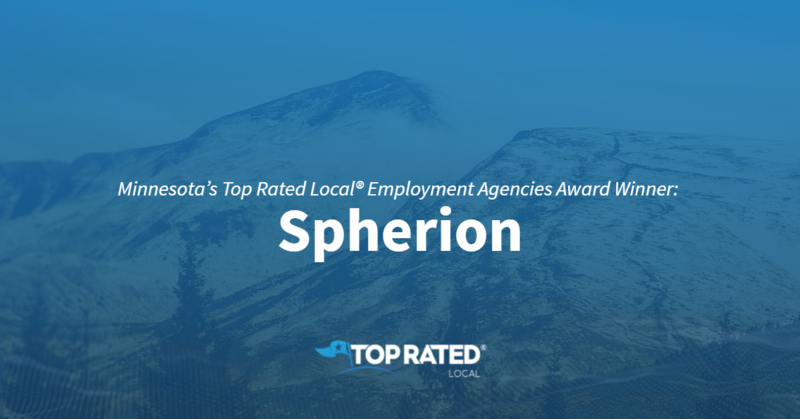 Top Rated Local® is pleased to announce that Spherion of Fargo is a 2019 award winner for employment agencies in North Dakota! For both employers and job seekers alike, Spherion is the employment agency to turn to in Fargo. Spherion of Fargo has received hundreds of reviews with an average rating of 4.80 stars, earning them a phenomenal Rating Score™ of 90.00 and a 2019 Top Rated Local award for ranking among the top 10 employment agencies in all of North Dakota! “Spherion treats people with respect and works hard to secure employment as quickly as possible. They follow-up and submit information to quality places for employment. Also, Spherion always returns emails and answers questions in a professional, timely manner. I would highly recommend Spherion as the only employment agency to use in Fargo and the surrounding areas because of their continuous persistence to serve both clients and area businesses with a high level of excellence!” – Ginger J. In order to learn a little more about this award-winning business and its impressive online reputation, we took a few minutes to talk with Connor, the Marketing Coordinator at Spherion. Outside of building a powerful online reputation, Spherion of Fargo has gotten their name out there through Facebook, Twitter, Instagram and LinkedIn. They also get out in their community to talk to people and hand out flyers. Congratulations to the team at Spherion of Fargo for being a 2019 Top Rated Local award winner, and thank you so much, Connor, for taking the time to speak with us! We highly recommend turning to Spherion for all of your staffing needs in Fargo. Visit their website today.